Choosing which mutual funds to invest in depends on factors such as your time horizon, income needs, and risk tolerance. As a general rule, the shorter your time frame is the less risk you should take because if the investment drops in value there may not be enough time for it to recover when you need the money. On the other hand, if you have 15+ years to invest, you may not want to be too conservative with the investment, as it may not grow enough to help you achieve that goal. Further considerations may include tax consequences (e.g. will the investment be owned inside of an IRA, how will withdrawals be taxed and at what rate, etc.). These are just general guidelines. Your situation may be significantly different from others or you may just personally be a more or less aggressive investor than someone else. The Sit family of no-load mutual funds offers a variety of options to assist you in meeting your goals whatever your time horizon or risk tolerance may be. Below is a chart to help you match each Fund’s investment characteristics with your own personal situation and objectives. These sample asset allocation portfolios can be constructed using Sit Mutual Funds. 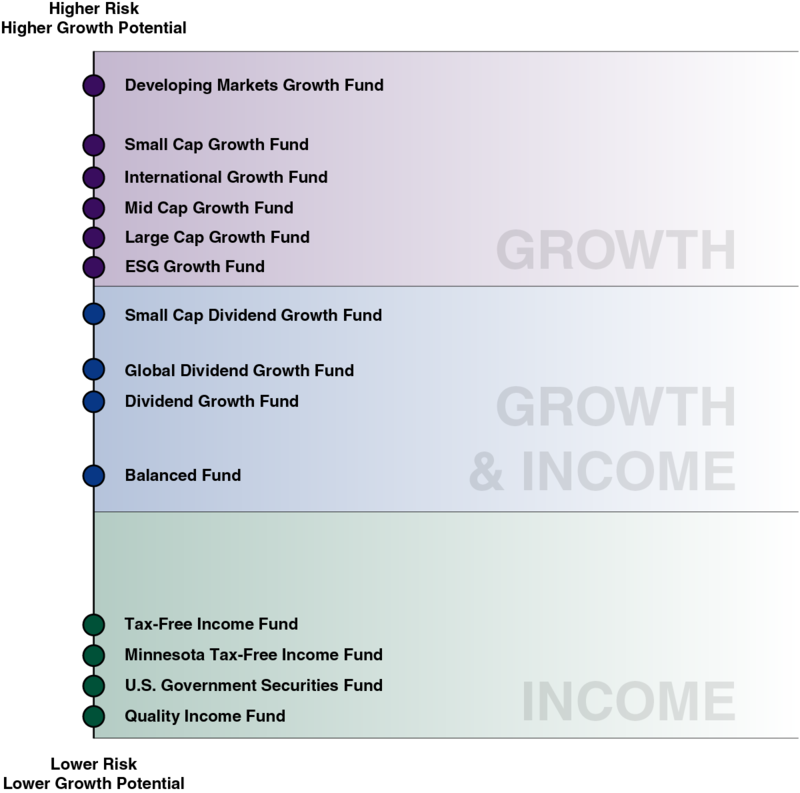 The chart to the right shows which category each Fund belongs to.